Friday’s news that Saudi Arabia’s crown prince vows a $2 trillion IPO of Saudi Aramco within a few years may provoke a sense of déjà vu. It’s essentially the same headline that flashed around the world in early 2016, when he first raised the idea. Prince Mohammed Bin Salman reaffirmed plans for the biggest-ever IPO, and talked about much else besides, in a Bloomberg News interview late last week. Might it actually happen in “late 2020, early 2021,” as he now says? Maybe, but we’ve gone through a few deadlines already for the debut of Saudi Arabian Oil Co. It was interesting to read that the prince expects global oil demand to keep rising until 2030 “by above 1 percent, 1 to 1.5 percent, maybe more.” Take the midpoint of that range, and it would imply the world using 120 million barrels a day in 2030. Indeed, this was the essential subtext to the prince’s original IPO declaration almost three years ago. Digression. Did Saudi Arabia kill journalist Jamal Khashoggi? If not, who? Turkish president says Saudi Arabia must prove its claim that missing Saudi journalist left consulate in Turkey. 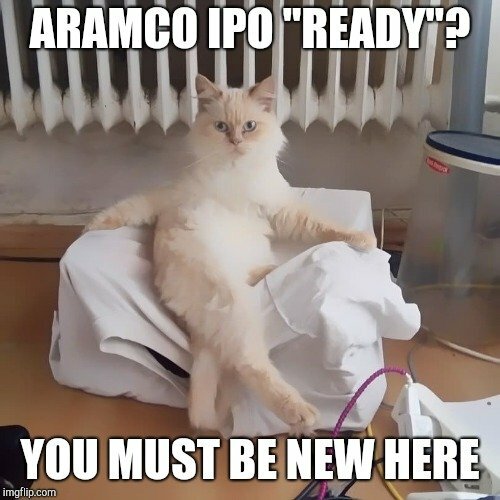 So,the Aramco IPO is back!! ARAMCO will probably have an IPO more than likely and about the same time frame MBS mentioned. They are doing a lot of "housekeeping" before they go ahead with it. They are also investing a lot of $$$ into petchem which is their next big thing beyond oil. There are various 'circles' at play in the Kingdom, some of them never wanted the IPO. I think we should view this not as a done deal for an IPO (in the future) necessarily, but more as MbS' little push and pull with a specific circle of his more level-headed advisors. I don't believe that it will ever happen, that would mean that they would have to willingly give up the information that they have been holding so secret for so many years, and absolute control of the company, right? I don't know whether or not the IPO will happen. But Aramco won't be valued at 2 trillion, that I'm sure of. I think Bloomberg recently sited the international communities investment rate in the Kingdom is down 80%, and that's before the latest adventure. The party at the Ritz couldn't have helped there. There was massive selloffs in the Saudi stock exchange last year by international investors. That is real pressure. More than the headlines. Whack that wallet. You don't need sanctions for that. The systems at Aramco are incompatible with a public company, and the management have no concept of what's required, and as they would come to understand it, it would scare the bejeezas out of them. The place is deliberately set up for "flexibility", not accountability. Hmm, Yemen, Qatar, IPO, folly in Istanbul, Vision 2030 going backwards. At what point will they recognize the pattern enough to deal with it internally. And it's not the outside world's to fix their internal. That must be fixed by themselves. Not to say consequences won't happen. They aren't going to stop selling oil. It's their only revenue of significance and they are addicted to the inflows in ways they weren't in '73. Devos in the Desert is becoming a no-show disaster. Even the much smaller, Aramco annual In-Kingdom, do business-with-us event later this month is seeing drop-outs. Public companies can't be seen kowtowing to them. Day in day out, business as usual. I'm not sure how much of a chance it ever had of being listed at home. Far too big of a listing for Tadawul. Yep, it was probably an overly-ambitious, nationalistic fervor wish to list on local exchange. I've got to get over there and pitch them on my mega-project to fund Dan Warnick's EV powered rocket ship which I plan to have ready for launch soon after we're all dead. It's the right thing to do and they should pay me now rather than later. I mean, seriously, they might end up having to give the money away just to get some dinner guests back at the palace from time to time. LOL! Clearly though, they won't stop the oil sales; quite the contrary, in fact. 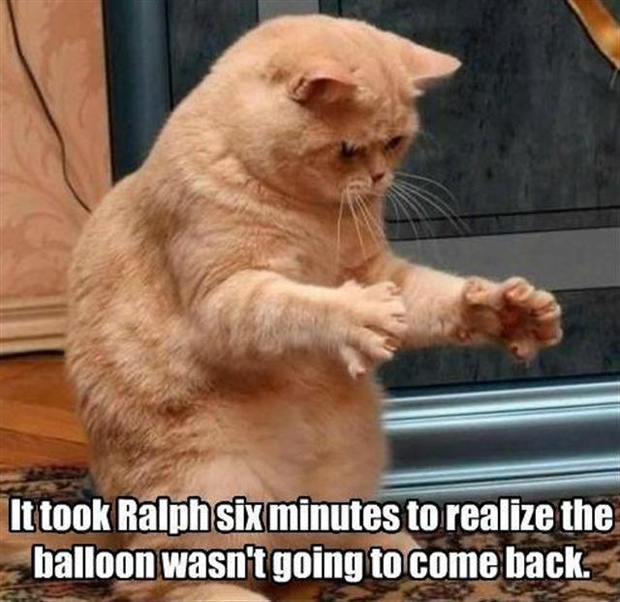 I thought this too but have since turned to doubt. I would consider him bold, but not necessarily smart. the ipo plans had too many leaks, too many start dates which have since fallen through. That's not good planning. recent events make me question his brain power (or just power) even more. MBS is plenty smart, but what he knows is the royals politics and the Kingdom. He hasn't a fundamental clue to the outside world's take on his actions as he is no doubt being told how great he is doing. His classical education is IK only, and there is no way he's been anything but flattered. Yemen, Qatar, complete misadventures with the Syrian crises, Lebanon, time and time again he gets it very wrong, but the emperor has no clothes and no one can point out otherwise. The Turkey/Jamal incident just exposes to the general public what anyone who knows the Middle East already knew. Far worse happens regularly in Yemen, and a lot of Saudi are Yemen dissent. They know what it going on. Additionally the internal policies are making it far harder, not easier, for expats. I understand, respect, and even agree with the anti-expat movement, they are addicted to foreign labor. But they are chasing off the folks they need and it's not how you attract outside investment. The international investment community, they know better. Internationals are putting in less money, lots less, and last week went backwards. Also internal capital flight, Saudi's looking to get their money out. The Ritz was handled poorly for everything, but playing to the masses. They'll sell their conference this week to themselves as a success, and their Davos in the Desert as well, but the money is flowing the wrong direction. A lot of those going to conference are looking for money, not offering it. Look at what's happened to foreign investments the past couple of years. It's ugly. And probably will get worse. You derive pleasure from making these, don't you? Thank you! Yes, I like to laugh at absurdity. But most of my memes are not suitable for this forum, as they may upset people who may not share my ideas on unconventional humor. If MBS thinks an IPO could happen in 2020-2021 than should mean he thinks he could be king in 2020-2021. However given the recent events the crown may be getting more far away rather than closer.